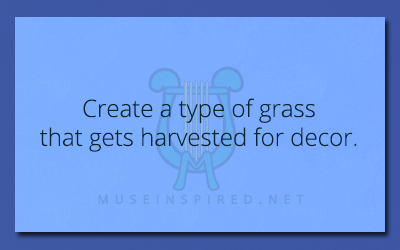 Fabricating Flora – Create a type of grass that gets harvested for decor. Fabricating Flora - Design a plant that is used in anti-love curses. Fabricating Flora - Design a plant that almost seems sentient.